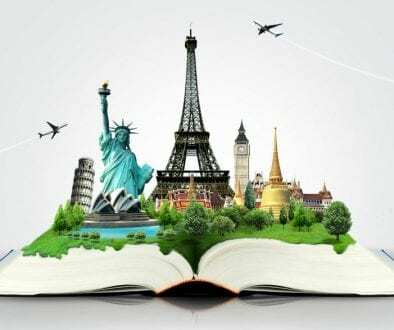 I have been traveling and backpacking a lot for the past few years and have after I started blogging, I have been receiving a lot of questions about the travel equipment I use. 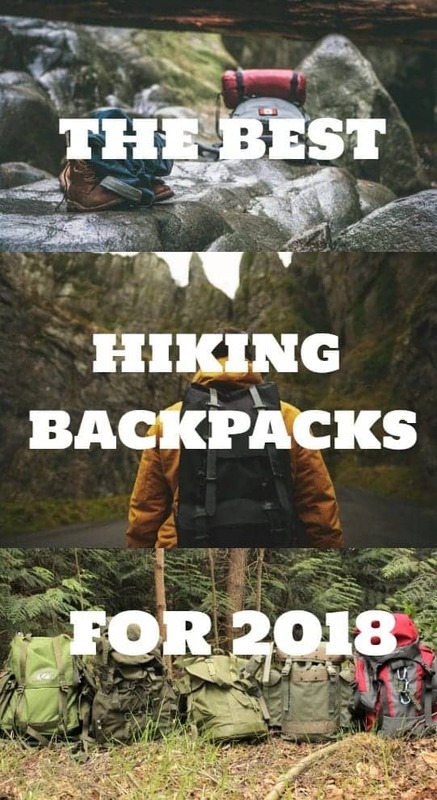 I decided to answer these questions one by one and start with the some of the best hiking backpacks for 2018 I came across. Backpacks are perhaps the single most important piece of equipment that can make every trip easier/harder. All of the products on this list have been used either by me or people that I personally know. None of these short reviews are biased and I as you will be able to see, I will talk about both, the pros and the cons of each product. 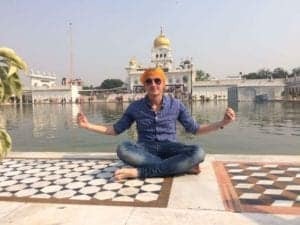 I spent most of the last 3 years traveling the world. I have worked and lived in 3 different continents and visited 35 countries. I’ve taken most of these journeys alone and I know what a good backpack can mean for a trip. I also met a lot of travelers on the road and heard their experience regarding this topic. Some of them also tested some of these products and provided a lot of useful information for this guide. There are billions of types and styles of backpacks out there and it’s impossible to cover all in one article. According to me, a travel backpack isn’t just a backpack with which you can spend a few days out in the wilderness. The best travel backpacks should be weather-proof as much as possible, be lightweight and have as few heavy-duty materials as possible, lockable zippers that would make it difficult for any potential thieves, and multiple compartments that will allow you to organize your stuff and access your things on the fly. Before we start, you can also check out these tips about buying and selling online. Weighing only 12 ounces, this ultra-light backpack is super-easy to carry around and organize your stuff. Highpoint backpacks utilize extremely durable nylon construction and it fitting up to 30 liters. The backpack has a frameless design that provides an essential combination of space and weight. If you’re going for a shorter trip or you want to travel as light as you can. This backpack compresses into just 9” x 6×1.5″ when folded and is ultra-light, which makes it the perfect choice for camping. The fact that it has an easily-accessible pocket on the outside, as well as a hidden pocket on the inside (for valuables) just adds to the great design. This backpack is not only light but is also agile. It comes with breathable mesh shoulder straps and is the perfect mix of lightweight design and durability. The shoulder straps also include a cross-chest strap for added comfort and security. This backpack is really durable not just according to me but to other people in the reviews section. It’s made of high-quality material and according to the reviews, it seems like defects truly are a rarity. However, its durability doesn’t come close to some of the other backpack on the list but the price is much lower too. The most obvious con is that there’s not enough room even though the backpack is much more compact than it looks. The Wildhorn Highpoint is a great mix of lightweight materials and durable construction. This pack is portable, pretty comfortable and versatile. For the price tag of $35 it definitely makes a great purchase. 93% of the Amazon users rated this product with a 5-star rating. This is the backpack I used the latest, I honestly love it and it’s also an Amazon recommended product. It’s a great value-for-money product and it provides you with 70 liters of packing space for $74! This one came in really handy for my trip to Nepal. The extra space allowed me to take a few extra things which helped when I was packing for my Nepal trip, as it’s a country with a very diverse climate. The smart design offers loads of space for all of your must-have essential and it has a lot of extensive storage pockets and compartments, including a large sleeping-bag compartment. One of my favorite things about this backpack is that it has an exterior foaming that’s actually water resistant. The great design makes this backpack a great fit despite your body size as it’s fully adjustable fit around the torso and it has adjustable straps at the shoulders for upper-load balance and support. An open-cell foam lumbar pad and molded channels provide support for the lower back and help to increase the airflow, making heavy loads more comfortable to carry. From my personal experience, this is one of the most durable backpacks I owned and arguably the most durable one in its price range. However, I couldn’t give it a 10 durability rating as there are some more durable backpacks out there as you will see below. The only con I could add is that the shoulder slaps sometimes slack when doing heavy backpacking, so I’m unable to get optimal chest fit at times. In my personal opinion, this is the highest-quality backpack in this price range and I would recommend you to try it out. I’ve been using it for the past 8 months and didn’t have any issues so far but I will update this review if there are any in the future. Stahlsac is a brand known for their durability. Their slogan is actually: “Guaranteed to last. Possibly longer than the owner”. Тhey алсо claim a lifetime warranty. Additionally, this backpack is waterproof and apparently, you can take it diving with you. This backpack has a state of the art design with thoughtfully distributed wet and dry pockets and other solutions to help you stay as organized as possible. There’s a front pocket where you can keep smaller items and the backpack also features a patented cry compartment! Finally, the bottom is PVC coated in case of coming across a rough surface. If you like this bag, also check out this article featuring the best dry bags. The backpack is pretty comfortable and the only remark I have here is that when heavily loaded, the weight of the bag pulls the front pocket tab open. However, the pressure of all the gear in the sack will hold anything from falling out which just shows again how brilliant the design of this backpack is. My friend Brad from CA used this backpack for 15 straight years and took it for more than 1,500 dives. He says that it’s the most durable backpack he has ever seen in his life. When it gets wet, the backpack stretches and can be a bit too large for some people. Additionally, the backpack is ‘shapeless’ but this can make gear poke you if not arranged properly. Also, check out this article for more camera-friendly backpacks. This is probably the most durable backpack on this list and the design seems really great. The best part about it is you don’t even have to clean ит as the backpack airs itself. 86% of Amazon users rated this product with 5 stars and there’s certainly a reason for that. Not only does this backpack has a lot of room but it also literally helps you stay organized. It features one big, main storage area with dual zipping, several side pockets which you can use to group your items and an actual ‘stuff-it’ pocket with integrated drawcord. As I said, this backpack is well worthy of being called “tactical” and that has a lot to do with its design. The backpack features multi-functional utility pockets with mesh zippered compartments and its own device pocket. Rush also has a grab-and-go handle, zippered fleece-lined eyewear pocket, and a wrap-around MOLLE/SlickStick web platform. I don’t have any remarks regarding the comfort but I should mention that when I used it, I had to keep the shoulder straps tight in order to take advantage of the yolk design. This keeps the backpack higher up on my back, thus keeping the yolk closer to the back of the neck area. This backpack is pretty tough: it’s made from durable 1050D nylon and has some water-repellant coating with a contoured yoke shoulder strap system. My experience with Rush was pretty decent, I’ve had it for 3 years and it’s still my go-to choice for hiking trips. One thing I would really change is to make the bottle pockets a bit wider as it’s a bit difficult to place a tall water bottle inside. My other remark is regarding the fleece lined pocket at the top. It’s great for keeping your cell phone but if you have a large phone with a protective case it might not fit in. You might feel that this is a bit pricey for a backpack but it’s definitely better than most pump bags and has a far better construction. Many backpacks on the market claim that they can make your life easier and help you organize but this is one of the few that actually does that. 85% of Amazon users rated this product with 5 stars and I’m one of them. This backpack is an award-winning backpack with an established reputation among hikers and enthusiast backpackers. It comes with its own anti-gravity suspension system and fit-on-the-fly hip belt. This backpack is a bit heavy but it’s one you can use in all four seasons, from dry heat to blistering cold weather. The design is absolutely amazing! The backpack has a big bottom pocket and a small top pocket that also fits a lot of accessories. It also comes with two side zippers on each side and they’re pretty deep and can fit a lot of stuff as well. The backpack comes with dual upper-side compression straps that stabilize heavy loads and can serve as external gear carry straps too. Finally, it has its own pole attachment system for carrying a trekking pole for a quick scramble through rough terrain. The Anti-gravity suspension system is composed of lightweight mesh extending from the back panel to the hip belt in a way that allows the body to make unrestricted movements. The fit on the fly belt is also easy to adjust against the torso by using easy release cams behind the harness yolk. Finally, the floating top-lid is removable to shave weight when needed. The pack is very durable and it doesn’t have a trade-off between durability and design like most other backpacks. The material just feels a lot stronger compared to my last backpack and I can say that this is the best trekking backpack I ever had. 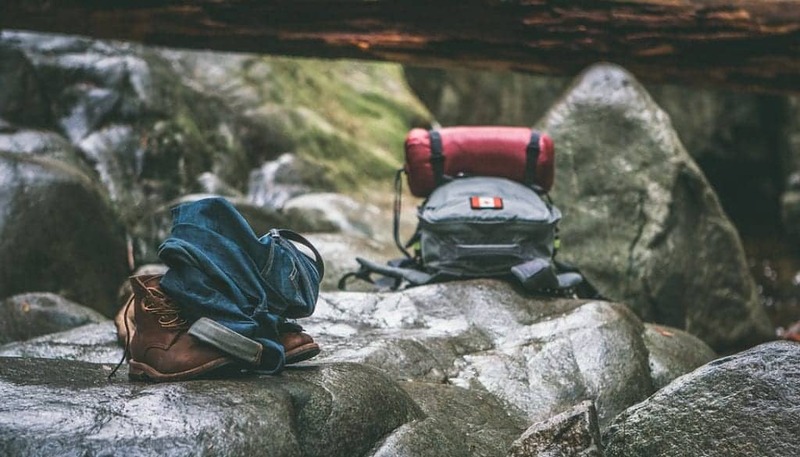 You can literally live for months on the road with this backpack on your back without worrying about ripping even when trekking in rough terrains. I’d have to do some serious cherry picking to list some cons but since I don’t want to leave this section empty I’ll say that when it’s completely full the backpack has a lot of extra loose straps. Another con I could list is the obvious fact that it’s a bit heavy for a 65-liter backpack. I’ve ordered this backpack recently, it definitely feels like an upgrade over my last one and I’m really looking forward to trying it out. It has a great suspension system, can take a lot of weight and it seems really durable. 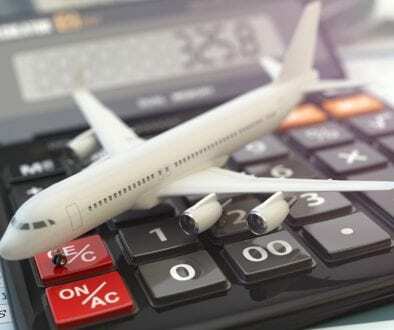 It might be a bit pricey but I can definitely say that it’s money well spent if you’re a frequent traveler that loves the outdoors and goes camping rather often. The Coyote is a fully-featured load hauler and is ideal for extended trips into the wilderness. This pack sure can take heavy loads (almost 80 liters) and it comes with a CloudLock II adjustable suspension and dual LightBeam aluminum stays. Loading this backpack is super easy and you won’t struggle to find what you’re looking for with its top-loading design and the front-panel access and zippered side pockets. My favorite part about this backpack is the top compartment that can transform into a daypack and it even has its waistband! Finally, this backpack is pretty versatile and has no problems shrinking down if you want to fold it and place it in your luggage. This backpack is fully adjustable to fit one’s torso length and make it easier when carrying a heavy load. The LightBeam dual aluminum stays are connected to the hip belt providing direct load transfer which can be adjusted with the hip belt stabilizer straps. The HDPE-reinforced, dual density waistbelt improves load-support and enhances overall carrying comfort as well, while the dual positions for load-lifters straps keep the pack weight from shifting. Overall, the backpack feels really comfortable. The backpack has adjustable suspension and it’s built from 420D Polyester which is a really tough material. The backpack has significant resistance to water and the manufacturer claims to offer a lifetime warranty and I know people that got another free backpack even after 3 or more years of using. The backpack is pretty easily accessible but if you pack your sleeping bag at the bottom of your pack, you won’t be able to get your sleeping bag out without removing everything. Another small con would be the adjustability: it’s a bit difficult to adjust the placement of the straps. For me, this wasn’t a big deal because once its set, I normally don’t move it again but it’s something you should know before buying. I just had to include this backpack on this list and I would recommend it to all backpacker enthusiasts. It’s the best backpack in its price range and a great budget version of the Osprey Atmos (previous one). These are, in my opinion, the best hiking backpacks for 2018 in their perspective category. If you’re planning a new camping adventure soon, you might want to check out these one-man tents for backpackers. Have you used any of them? Do you have some other suggestions? Let me know in the comments. Did you like this article? Share it on Pinterest. 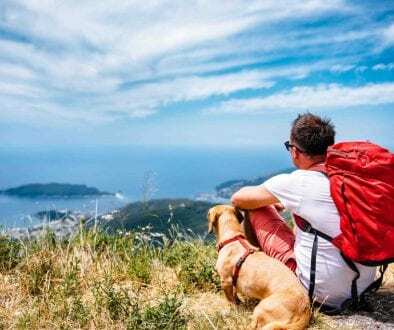 I think you only really appreciates what is required of a good travel backpack if you have travelled in that style yourself, as you have done extensively. I really like the way you’ve presented your recommended backpacks, highlighting what each one is best for, and covering design, comfort, durability and any negatives. For me, the small size of the Wildhorn Highpoint Backpack is probably best for my needs. Great round up and evaluation of the backpacks. I am not a backpacker per se, but I am an avid day hiker. Waterproof backpack is an absolute must have for me! I really want to thank you for detailing so much about the durability, design, comfort and also mentioning the cons. I personally liked the rainfly hiking backpack. It seems to suit my needs. I am heading for Iceland soon and I guess I have to reconsider my luggage choices. Thank you, Shreya! I’m glad you could get some useful information from this post. I think I should get the Rainfly Hiking Backpack. Seems like a good bag for me. Great review by the way. I learned a lot from you. I’ll should definitely buy it. Thank you, Emman- I’m glad you could get some useful information from this post. I’m actually in the market for a new backpack, so this post is very relevant to me. I love that you broke down the backpacks for different activities. I would be using mine mostly for hiking, so I think I would fall under the category of a passionate backpacker. I previously had an Osprey, so I think I’ll take your advice and stay within the Osprey family for my next back as well. I’m glad you could get some useful tips here, Martha. Thank you for your comment. Thank you for sharing this article. I love how you compare the backpacks durability, comfort and design as these are so important whilst travelling. I need to get a new backpack so this article has come at a really good time for me! I love the article depth and it was a great read. Thank you, Emilio, I really appreciate it! I have a friend who decided to quite his 15years in corporate desk job, and now decided to go backpacking. Its Christmas season, so we are looking for a perfect good-luck gift for him, and I think your recommendations are perfect. We are all excited about his decision! Thank you, Blair- I’m glad you could get a good suggestion for a present from this post. 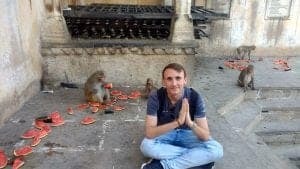 This is surely the post all aspiring backpackers should read. It must be really annoying when the backpack you put all your miniature life into for a long trip fails you. I love the way you have critically analysed each and every aspect of what a good backpack should have . I would pick the rain fly if I go backpacking. You’re absolutely right, Sinjana! Thank you for your comment, I really appreciate it. Why does your backpack in the picture at the head of your post have a Canadian flag on it? Oh, absolutely no reason at all 🙂 I just liked the picture and thought it would make a good cover photo.